UK Stampin' Up! Demonstrator | make beautiful cards | Crafty Hippy: Ribbit! Ok, so we are forecast for lots of snow and not rain today, so this card may be a little off-topic (although did you see that nature programme recently with the arctic frog that literally freezes to death then re-animates....??) .....I love this card nonetheless! 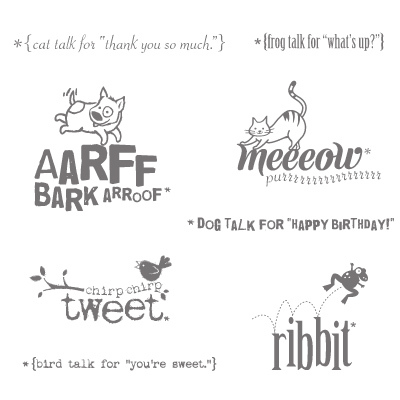 I used the Animal Talk set from Stampin' Up! which is a fantastically fun set! As you can see in the image below there is something for every occasion. I used two shades of green (I used my Color Coach to get the right two shades) which were Wild Wasabi and Garden Green. The little frogs on the outer part of the card are a sneak peek from a set that is coming in the Spring... I thought they went perfectly! 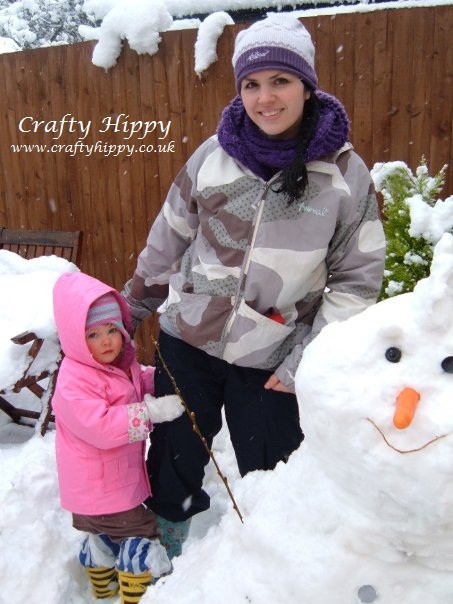 This is a pic of Little Hippy and I in the snow a few years ago, she looks soooo small! Wherever you are today keep safe and warm ~ and do something crafty!